Jeremy Scott is burning down the house. Literally. 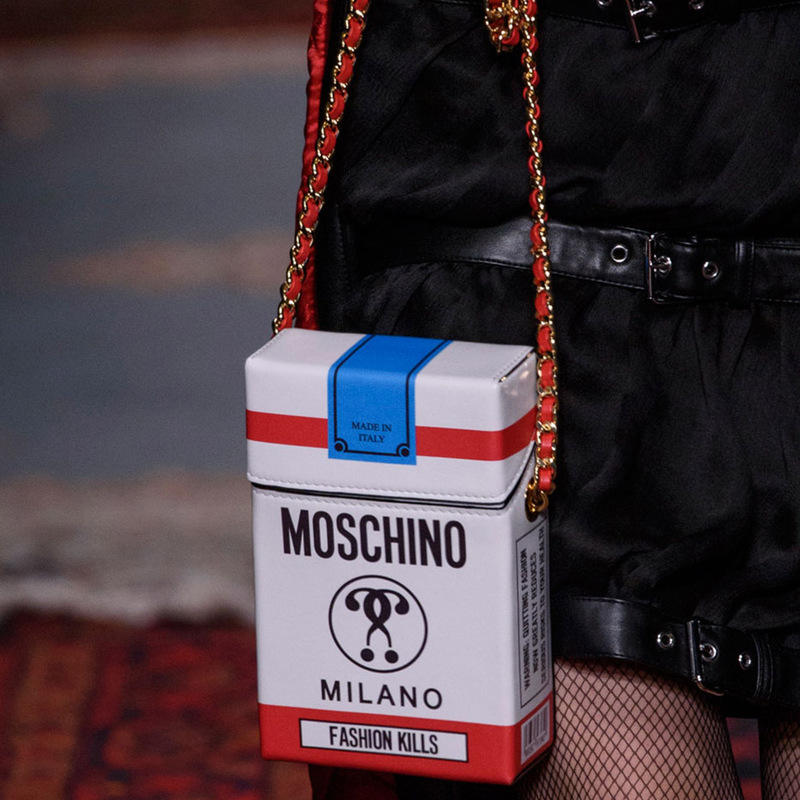 Milan Fashion Week was on fire, literally, last night as Jeremy Scott presented his latest collection for Moschino -inspired by cigarettes. Yes, after devoting entire past shows to Barbie, McDonalds, the Looney Tunes and other pop culture phenomenons, Jeremy’s now turned his attention, controversially, to all things smoking, flames and fire related. And his cult following were loving it. Upturned grand pianos, ragged sofas, old books and toppled candlesticks – Jeremy’s props were all stacked up and ready to burn. Models walked through a busted mirror frame on their way to the photographer’s pit as Britney’s Toxic and that Talking Heads classic played on the soundtrack. We couldn’t make it up. According to Jeremy Scott, no one should be quitting the habit and instead, we should all be wearing our Marlboro Light boxes on our sleeves. Each season, the brand creates a street style phenomenon with its iPhone case designs and for AW16 they’re presenting an actual cigarette carton. On the runway, Jeremy further ran with his theme creating ‘Fashion Kills’ clutches and match box bags, all styled with match stripe knits, too. The phone cases, plus a bunch of other Insta-hits from last night’s show will be available for us to buy on StyleBop.com from this weekend, showing that Jeremy Scott is very much part of the see-now, buy-now designer pack. Girl wears chandelier as skirt. 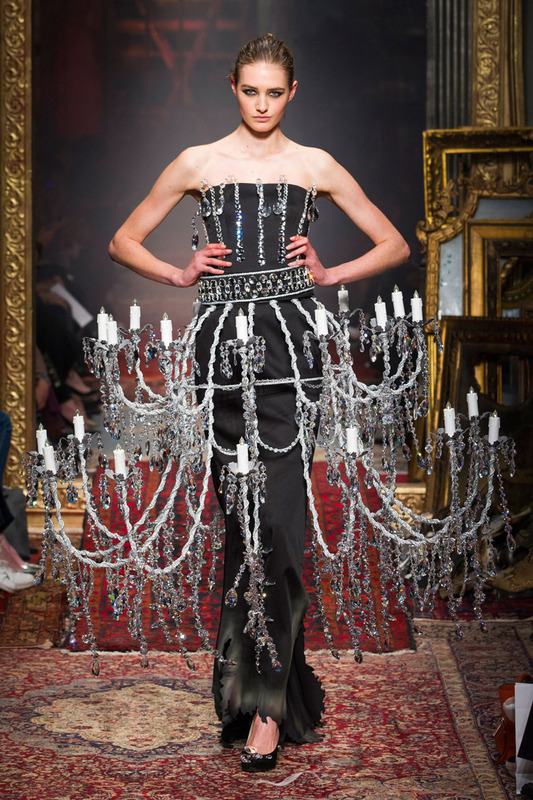 Girl is weighed down by said chandelier and totters very very carefully down the Moschino runway. Sia will be pleased. 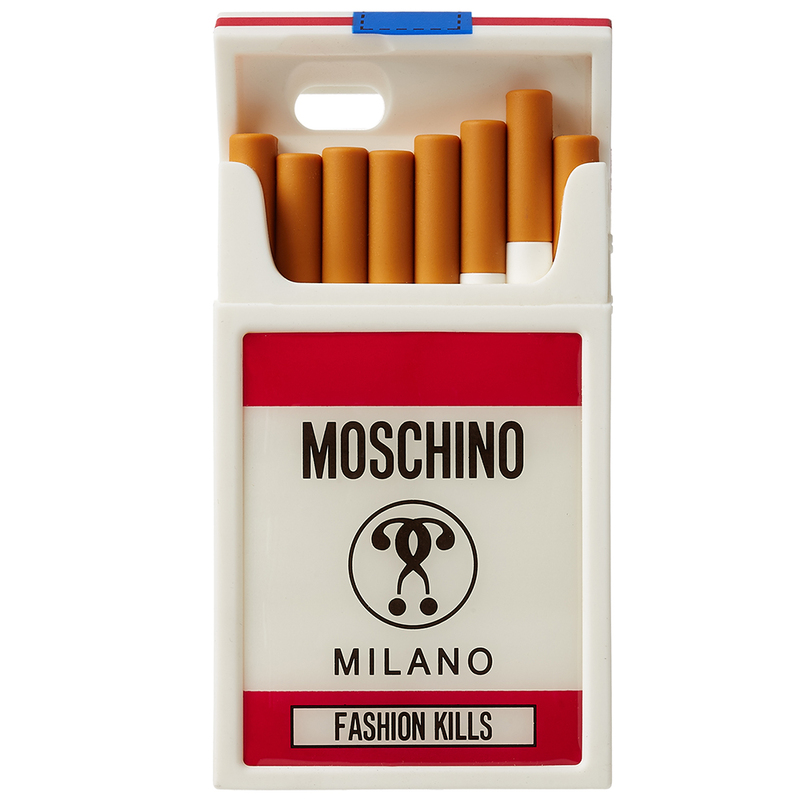 A lot of the Moschino pieces, when you dusted off the ash, threw it right back to the Eighties. Some frou frou silhouettes, their silks gathered into volumes and more sensitively decayed, made their point as more serious contenders alongside all the snap-happy moments. The fashion pack, while we laughed, left the venue elated by the theatre of it all.